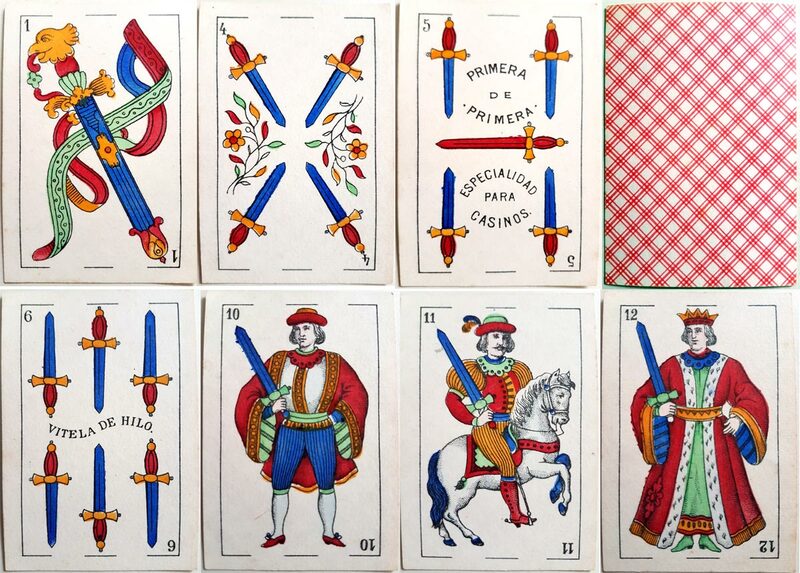 Rodolfo de Olea Viaña (active 1891-1905) inherited a well-established playing card factory from his father, Segundo de Olea Lepiani, in 1891. Inscriptions on the elephant trademark, as well as on other advertising materials, were updated to notify of the succession. The factory address was at Comedias No.12, Cadiz. 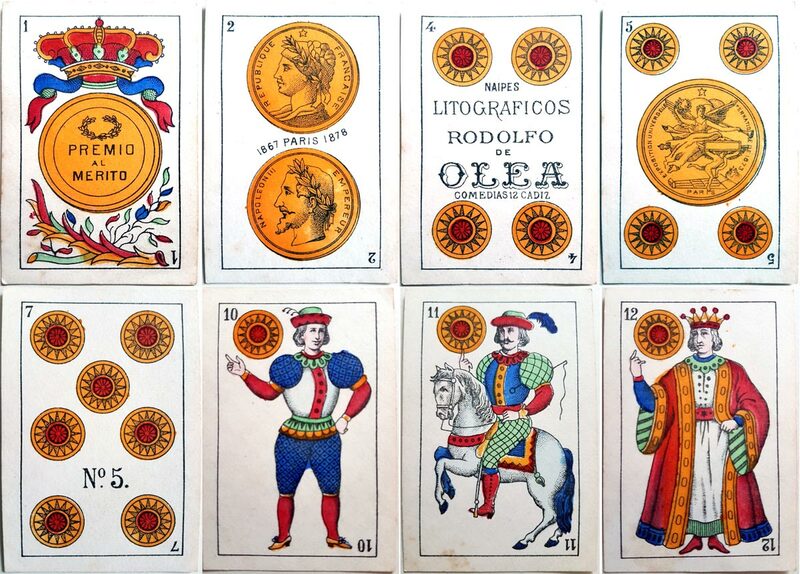 In around 1895 Rodolfo de Olea commenced using photolithography which produced a finer quality product, although packs continued to be coloured by the older method using stencils. 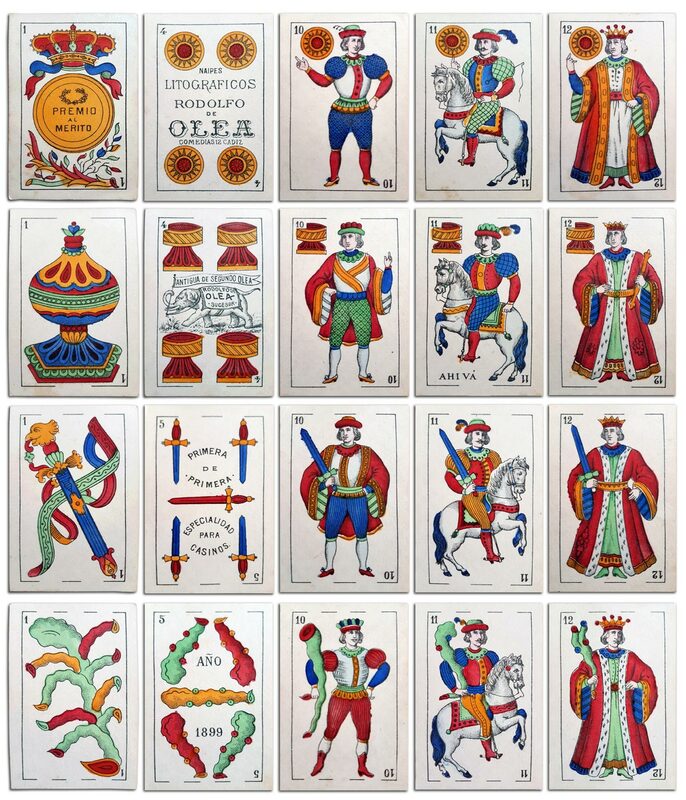 The Olea playing card factory exported cards around the world, in particular to South American markets, and was awarded numerous gold, silver and bronze medals at exhibitions which are illustrated on several cards. 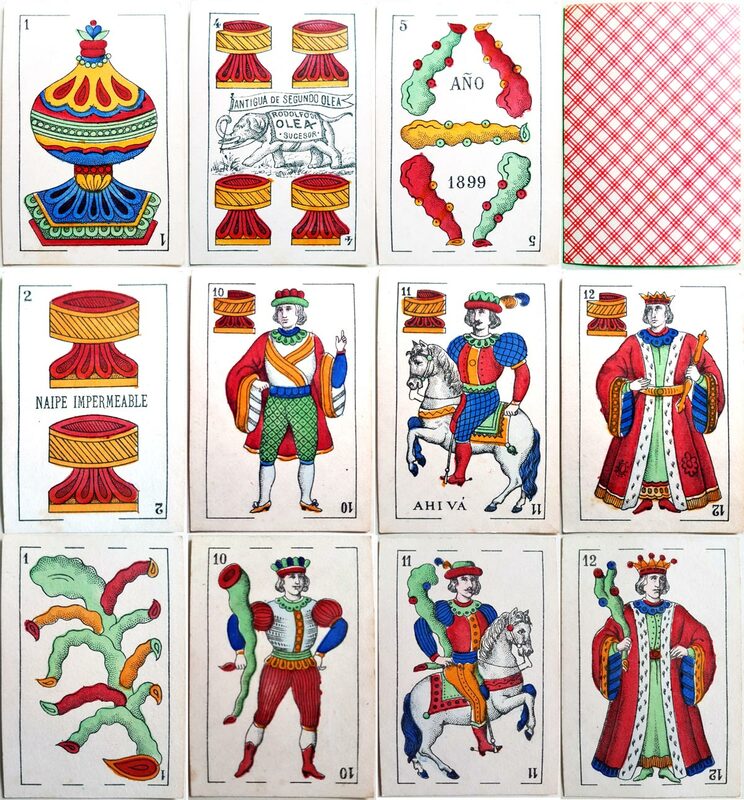 Above: “El Elefante” deck by Rodolfo de Olea Viaña, Cadiz, dated 1899. This edition was printed by lithography, as stated on the four of coins, but coloured using stencils. All images courtesy Ib Hilmar Hedegaard. 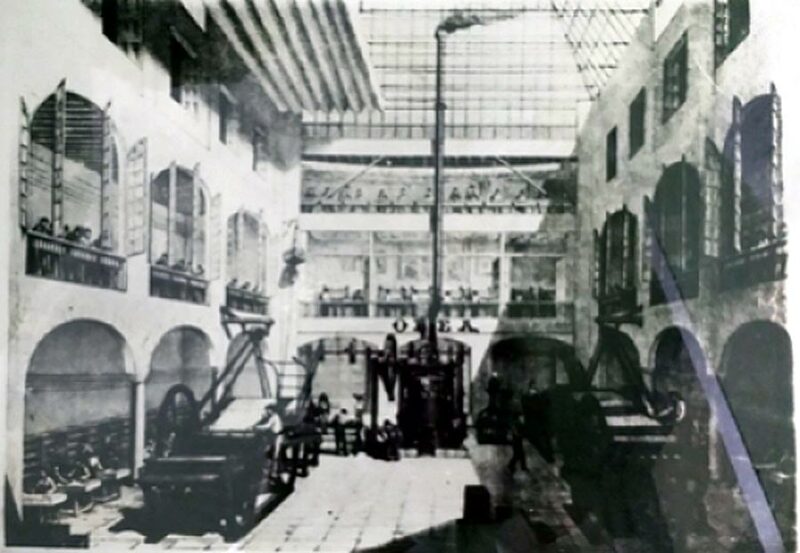 Above: interior view of the Olea playing card factory showing steam-powered presses and workers engaged in the various stages of manufacture, late 19th century. © El Fenicio, 2015.